This Pin was discovered by Leandro Quezada. Discover (and save!) your own Pins on Pinterest. 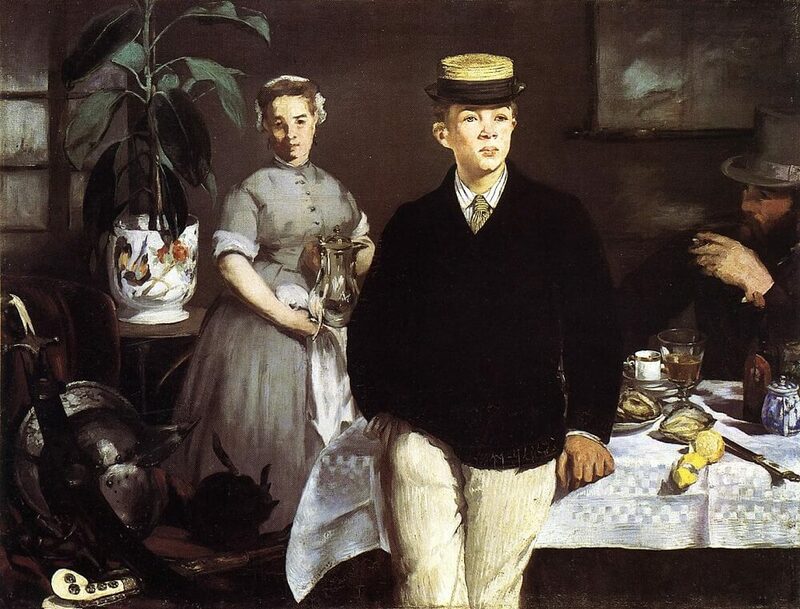 "Luncheon in the Studio" (1868) | Neue Pinakothek, Munich • Édouard Manet. Oil pn canvas; 118 x 153.9 cm.